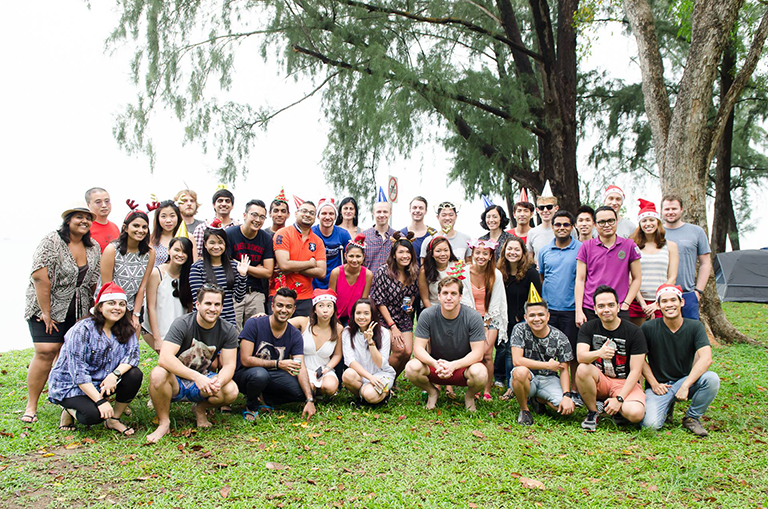 TradeGecko is hiring! We’re looking for talented, ambitious people to join our team across all departments in our Singapore, Manila, Toronto and Melbourne offices. 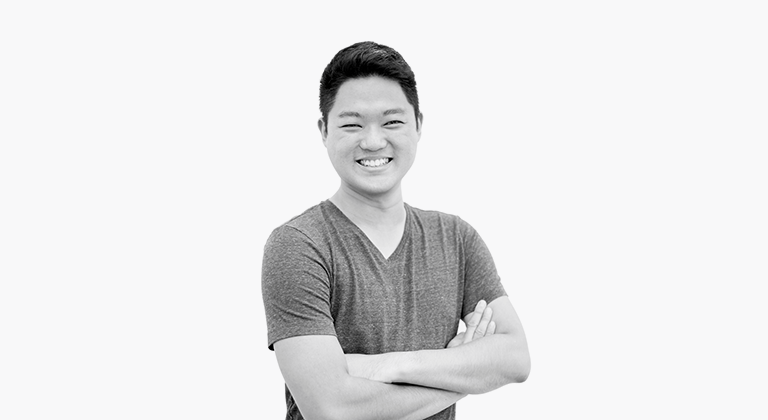 What makes someone want to join TradeGecko? You probably want to know about us as a company, but you probably also want to know about us as people. Here’s a little bit of both. Here’s the official version of what TradeGecko is all about. We started TradeGecko for the sole reason to assist small businesses, the makers and creators, and to this day, that purpose is still at the heart of everything we do. Our vision is to enable every small and medium commerce entrepreneur to build the business of their dreams. We see so many business owners where their business has taken over their lives and it’s gone from being a passion to a job. We want to help the entrepreneur running a brewery, a fashion label or a flavoured toothpick company to get out of spreadsheets and stock-takes and go back to doing what they love; designing the latest clothing range or brewing a new batch of beer. Our mission is to be the backend commerce platform that powers a million businesses, the platform that enables the entrepreneurs with the tools, to operate and make insightful decisions to scale their businesses and to power a significant portion of world trade. The TradeGecko platform takes care of the backend of running a commerce business, we automate the time-consuming inventory work, letting business owners focus instead on other parts of their business, like growth, marketing and customer service. We currently have over 100 employees spread across our 4 offices. We got Series A funding last year to the tune of US$6.5 million from some great VCs (Jungle Ventures, NSI, Golden Gate, Wavemaker Labs and 500 Startups are all investors) and we’re growing. The founders are from New Zealand, and the rest of the TradeGecko team is from pretty much everywhere. We have Geckos from around 20 countries (and counting!). We look to hire people who love business, that love understanding the inner-workings of growing companies and love helping our customers, the entrepreneurs and business owners grow. 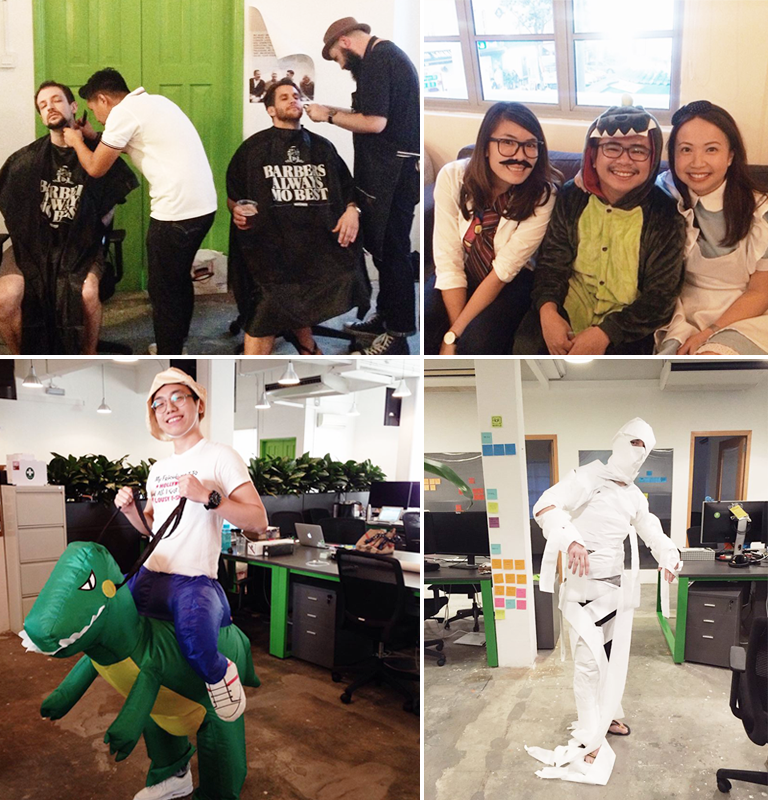 Now, you want to know: what really makes working at TradeGecko awesome? Here are a few of our top reasons. 1. 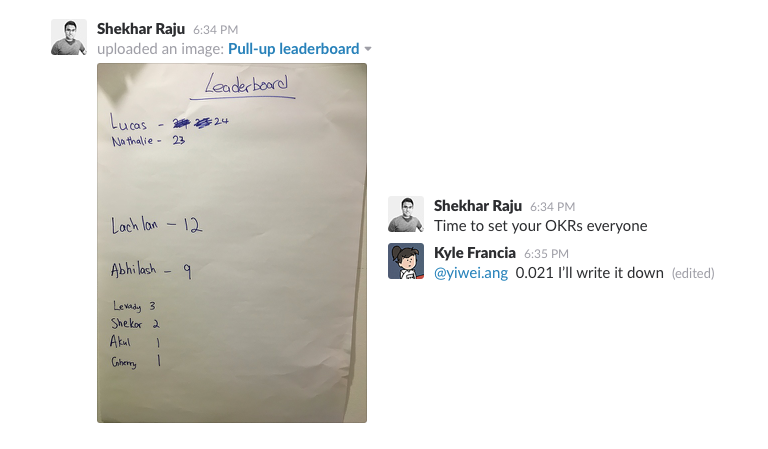 We’ve got a great team environment. 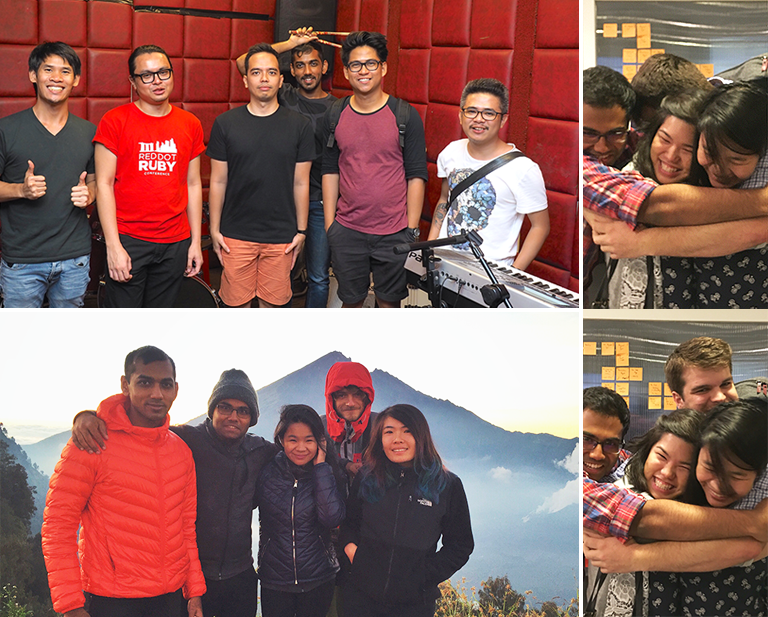 We have a TradeGecko band, group work-out sessions and sometimes, Gecko special forces teams, and weekends away doing things like climbing up Mt. Rinjani. Teams are so in sync, they sometimes even get out of bed in the morning and dress the same. The key is that people here are supportive of each other outside of work, when big problems come up during work operations, everyone pitches in to fix things as quickly and efficiently as possible. As we recently experienced first-hand, when our customer’s businesses are on the line, we will do whatever it takes to support each other, even if that means working on a weekend and not stopping until the problem is fixed. 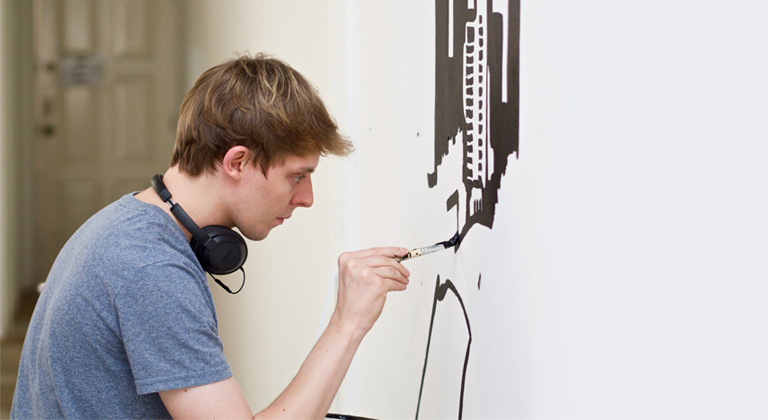 With a small team, and a flat structure, you can be sure that while you may have been hired as “UX Designer”, you can also find ways to express your inner product manager, copywriter, or sales rep.
Alex, shown below hard at work on the TradeGecko mural, whose official title is Lead Designer. But whose day-to-day activities include: Designer, UI, UX and product management for our iOS Mobile Sales app, painter and designer or our awesome office mural. 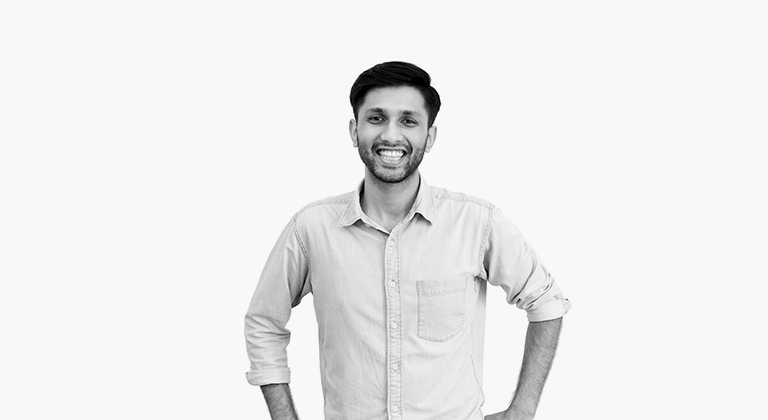 But whose regular activites also include: data analyst, user researcher, marketing and sales growth, and overall guy with ideas. With empowered individuals who are not only able, but willing to work outside of their job scope, we get a flat team structure where anyone can work on issues that they think are important. Which means that the company is strong individually. 3. 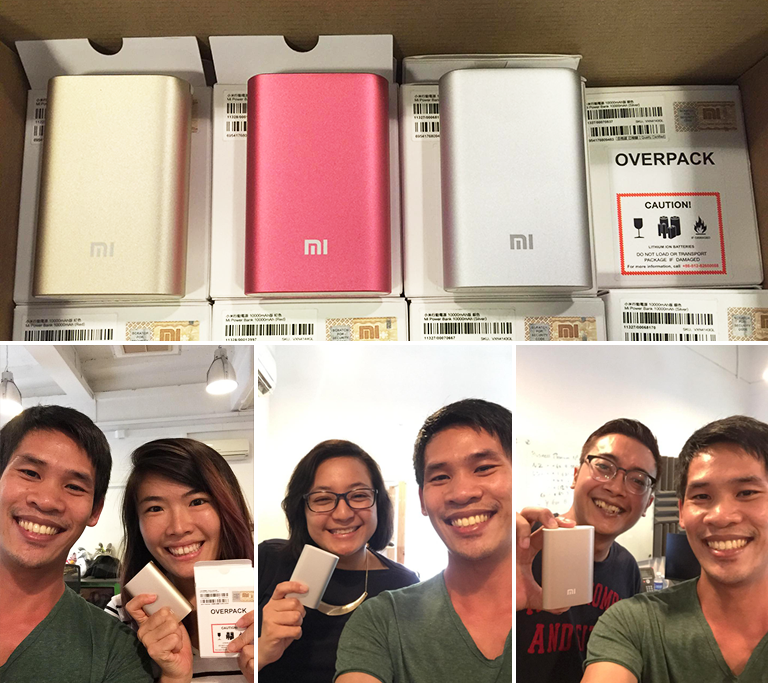 You get to see how your work directly helps TradeGecko’s customers. But on the serious side, with small teams, we're solving real problems and can immediately see the impact our work has on customers. We get to hear first-hand stories from customers every week that tell how TradeGecko helped them grow or improve their business in some way. Take for example, CareBOX Program, a non-profit operating out of Austin, Texas, USA. They provide care boxes to cancer patients through a crowdfunding/sponsorship program and TradeGecko helps to support them by allowing them to use our software for free. You can read their full story here, or see all our case studies here. Another example is one of our customers, Lucaffe Australia, a wholesale coffee business. When their office flooded from heavy rains back in 2014, they didn't lose any of their valuable inventory information - it was safely stored in TradeGecko on the cloud. See the first-hand video below. Had they not moved their inventory documents to TradeGecko before the flood, getting back to business would have taken so much more time than it did. We get to have real, meaningful impact on our customers, the small to medium business owners lives. 4. We set the bar high, literally. Our running pull-up competition is proof. We also set the bar high in a business sense. One of our key company values is “The best at getting better”. We are constantly working to improve our product and the services we provide to our customers. But more importantly, we believe that there is nothing more important than your personal development. 5. Our fun office activities actually are...fun! You won’t find awkward attempts at team bonding here - we do have fun together. The start of November is really just an excuse for us to throw a party celebrating moustaches and Halloween costumes. Quiz nights test everyone’s knowledge on tough subjects ranging from Taylor Swift to Luke Skywalker. Theatrical Thursday and Board game Fridays are real, important days of the week. And that’s only a few of our regular activities. Companies like to claim they believe in a work/life balance - we bring life to our work every day. 6. You’ll be surrounded by seriously inspiring people. How inspirational? To start, we have smiles like this around the office. Walk in, have a conversation with any employee and you’ll have a hard time finding anyone here who isn’t doing something awesome. We come from varied backgrounds: big tech companies, consulting agencies, start ups and everything in between. Outside of work, we all have some interesting hobbies too. 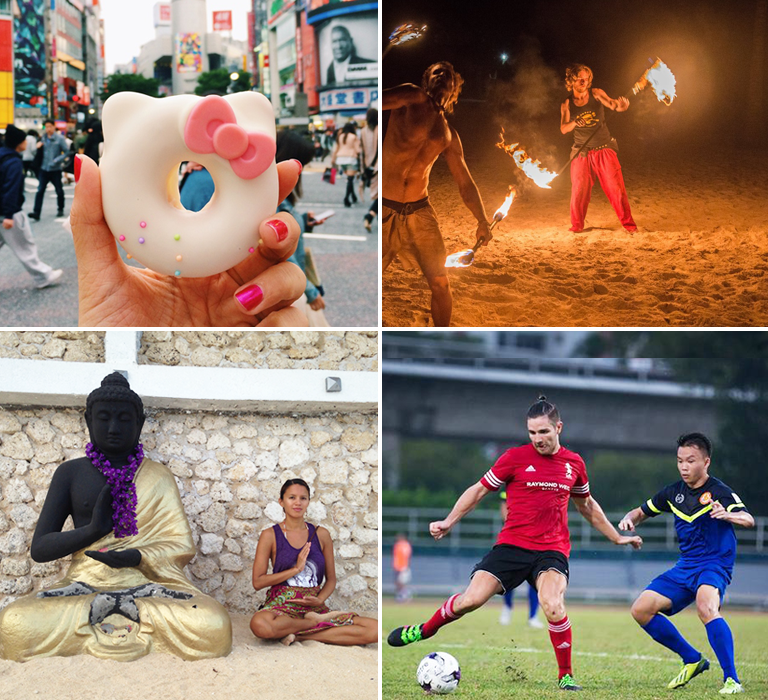 At last count, we had: a bonafide Instagram celebrity, a juggler, several international models, several real dancers, a fashion designer, a yoga instructor, so. many. foodies, and numerous entrepreneurs. 7. Multicultural is an understatement. 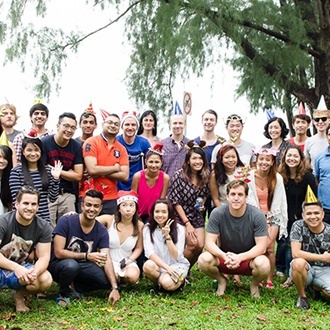 As we mentioned at the start, TradeGecko’s employees come from around 20 different countries and counting. You’ll get an international perspective on everything, which makes for creative and interesting solutions. Also, international people means that our pantry is always stocked with international goodies. 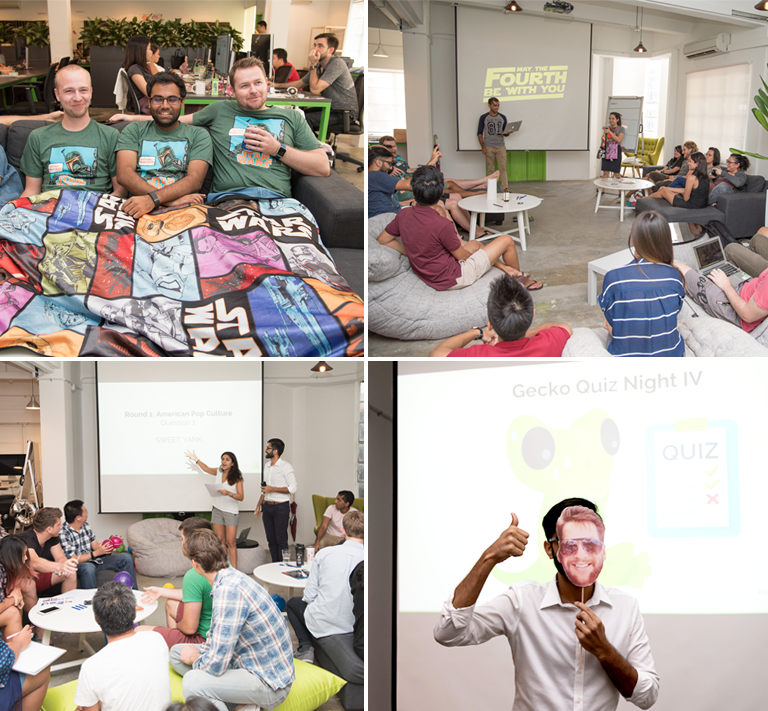 So, that's why working at TradeGecko is awesome, summarized with 7 of the best reasons we can think of. If you think you might be a fit, remember we’re hiring across all departments! Find out more about our open positions here! TradeGecko Annouces $6.5M Series A Funding! TradeGecko has a new home!